This week has been a long month. 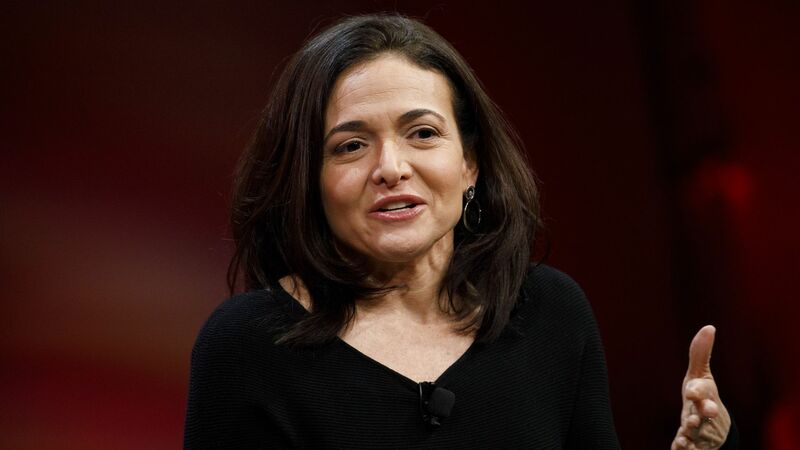 Wednesday was CEO Mark Zuckerberg's day with the media, while Thursday was all about COO Sheryl Sandberg. Sandberg did a host of interviews, including Bloomberg, BuzzFeed, the Financial Times and the "The Today Show" (which aired this morning). In the "Today" interview, Sandberg said that Facebook would have to charge to offer customers the ability to opt-out completely from targeted advertising. Plenty of people have called for this — it would be interesting to be able to see if they put their money where their mouth is. She also said they could've addressed Cambridge Analytica years ago and they will likely find more data breaches. Sandberg told Bloomberg that Facebook doesn't believe it has violated the FTC consent order. Zuckerberg ducked this question Wednesday, saying that Facebook wants to do more than just meet the letter of the law. "I take responsibility," Sandberg told BuzzFeed. "The buck stops with me." That's interesting largely because Zuckerberg said nearly the same thing. I guess Facebook has more than one buck. The bottom line: I think Facebook has settled on its talking points. We can expect to hear a lot of the same next week when Zuckerberg appears before Congress. (I talked more about this on NPR's "Here & Now" on Thursday). Meanwhile: It wouldn't be 2018 if there weren't also some fresh controversies. Medical data from hospitals: CNBC reported that Facebook had been talking with hospitals about getting them to share patient medical data. The effort, which had been active as recently as a month ago, is now on hold, CNBC reported. Retraction of old messages: TechCrunch also reported that Facebook has been removing older Facebook messages from Zuckerberg and other execs from their recipients' inboxes, citing corporate security. As TechCrunch points out, companies often limit how long they keep their own copies of email and other communications, but don't (and typically can't) delete the recipients' copies of messages. The revelation that Facebook took such action isn't sitting well. Facebook drowning in controversy ahead of mega-hearings. Sandberg: There'd be a "paid product" if users wanted no ads. Sandberg: "A few" advertisers have paused spending on Facebook. Facebook receives accreditation in long-awaited metrics audit. Zuckerberg testimony tour adds a stop in the Senate. San Francisco officials are scrambling to come up with rules for the electric scooters that have taken over the city, Axios' Kia Kokalitcheva writes. In the meantime, scooters have started to pile up all over town as multiple startups battle to turn grown adults back into kids. The scene: Around downtown San Francisco, it’s hard not to spot electric scooters scattered on sidewalks or zipping people down the street. Some are green (LimeBike), some are black and white (Bird), others are black and orange (Spin). Also, they are supposed to be ridden only in bike lanes, not on sidewalks, but good luck telling that to all the man-children. What people are saying: Many residents are annoyed that these scooters are littering their streets. Some call them a hazard; others simply roll their eyes at the latest tech industry trend turning their city into a lab. But some, like San Francisco native and SF Examiner reporter Joe Rodriguez, are intrigued. This weekend, after several minutes trying to find an available scooter in Golden Gate Park with enough battery, Rodriguez took a short ride that ended in minor scrapes — though he still enjoyed it, according to a Facebook post. Our take: We’ve seen this before, with the ride-hailing wars a few years ago. Once again, well-funded companies are having their way with a city in need of more transportation options, whose residents tend to embrace new services they can use via their smartphones. It may turn out to be a fad, but at least for now, we can enjoy this venture capital-subsidized convenience. Go deeper: Curbed has a good explainer, including on all the rules no one is following. Apple revealed Wednesday that customers looking to buy the company's redesigned high-end desktop will have to wait until 2019, TechCruch reports. As TechCrunch points out, it also makes business sense for Apple to let professional customers know there isn't a new high-end desktop model coming. It could lead some to decide they want to get an iMac Pro or other existing model in the meantime. Steve Troughton-Smith: "As somebody who desperately needs a new headless desktop Mac, it's incredibly frustrating that Apple can't ship one. Apple's determination to create the 'perfect' Mac Pro instead of just shipping a damn box leaves us with no options. At this point I'd take a damn G5/DTK chassis." Dr Drang (@drdrang): "Apple will be taking an extra year to design the only product in its lineup whose buyers don’t care about its design." Mark Gurman: "In addition to the Mac Pro, other things announced last year that still aren't out: the AirPower charging mat, iMessages in iCloud, and stereo mode + multi-room audio for the HomePod." Interesting timing: If a recent Bloomberg report is correct, Apple could begin shifting the Mac to homegrown chips starting in 2020. That raises the possibility the new high-end Mac could end up being a swan song for Intel chips, as Troughton-Smith put it. Organizations are closing the skills and preparedness gap between hackers and themselves, improving a picture that's all too often painted as grim. That means we — at least those of us in the Western Hemisphere — are getting pretty good at cybersecurity, according to the latest numbers from one of the largest cybersecurity firms, Axios' Joe Uchill reports. The bottom line: “It’s strange to hear, but things are actually getting better,” said Charles Carmakal, vice president at Mandiant, which released its yearly report yesterday. For all the high profile coverage of massive, often careless breaches, there’s reason to think defenders are outpacing attackers. Techfest NW continues in Portland, Ore.
StubHub, which is owned by eBay, named Sukhinder Singh Cassidy, founder of theBoardlist, as its new president, per CNET. Fortune writes that StyleSeat has added former Uber CEO Travis Kalanick to its board of directors, as well as Minted co-founder Melissa Kim. Samsung said it had a record profit in the first quarter, surpassing expectations, per Reuters. Twitter says it has suspended 1.2 million accounts for terrorism-related content since 2015. Instacart landed $150 million in fresh funding. Researchers say too many people are taking a pee in Walden Pond, one of several reasons Henry Thoreau's beloved body of water is no longer pristine.